A mission statement for a hospital foundation gives you an idea of what type of work the foundation does. Both non profit and for profit organizations use mission statements to give the public a better understanding of their overall purpose as well as clearly define who they are as an organization. 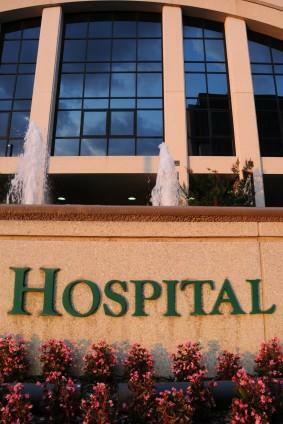 Hospital foundations are nonprofit organization that support the programs and services of a local hospital. They operate independently from the hospital and have their own focus and goals. Some may share board members while others have their own separate board of directors. There are many areas that a foundation can help support. Since there have been cuts in hospital funding on both state and federal levels throughout the years, hospitals have trouble securing financial support. To meet financial demands, hospitals turn to their foundations for assistance.Many hospitals place links to their foundation on their website. This guides potential donors to the foundation's site and gives them information not only on the foundation but on how to make a donation as well. Hospital foundations oversee donations, manage hospital endowments and organize annual capital campaigns. They also host special events and organize all fundraising activities for hospitals. Most foundations have office space within the hospital they are affiliated with. If you are in the process of developing a mission statement for a hospital foundation but are unsure about what to include, take a look at sample mission statements to get an idea of what others have used as their statements. ____________ Hospital Foundation's mission is to raise funds and awareness for projects and services that maintain and improve quality patient care at ____________ Hospital and its affiliates. ____________ Hospital Foundation is dedicated to raising and stewarding funds for the advancement of health care at ____________ Hospital. The mission of ____________ Hospital Foundation is to develop programs that attract the support of corporations, foundations and organizations and that encourage individuals to contribute philanthropic funds to the hospital throughout their lives. The mission of ____________ Hospital Foundation is the development, management and distribution of gifts to assist ____________ Hospital in providing excellence in health care for the local area. ____________ Hospital Foundation is a charitable organization whose mission is to develop friends of the hospital to help meet the continuing financial challenges for health care. A mission statement for a hospital foundation is important for many reasons. It clearly defines the goals and vision of the foundation and is a way to give others an insight on what the foundation's overall purpose is.